Learn all about the Leadership in Energy & Environmental Design (LEED) certification and jumpstart your career in green building by earning the LEED Green Associate credential! The LEED Green Associate credential is for the introductory-level professional who wants to gain a general understanding of all the LEED green building rating systems. 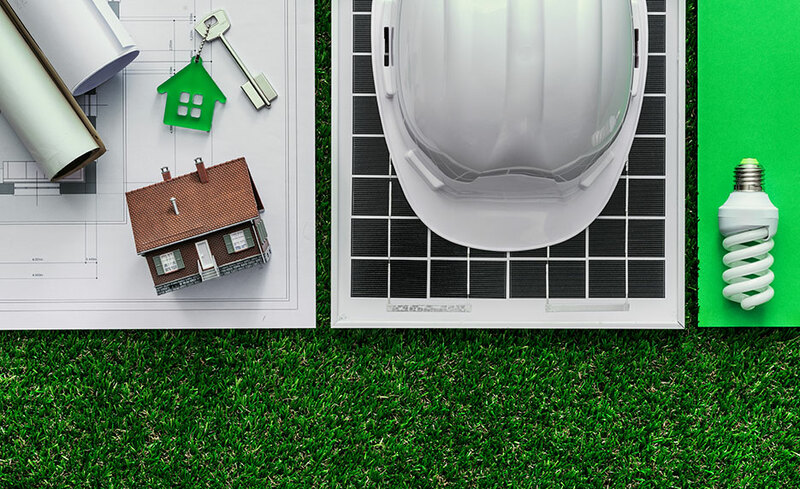 In this program, you will learn green building and sustainable design principles, specifically as they relate to USGBC's LEED green building rating system. This program will prepare you to pass the LEED Green Associate exam and is the first step in becoming a LEED professional. Understand LEED & the process of getting a building LEED certified. Learn what is expected of a LEED Green Associate. Be prepared to contribute to the health, safety, well-being, and productivity of the community at large by implementing best practices as it relates to sustainable design. The Tier 1: LEED Green Associate program and exam covers general information on green building practices for residential and commercial projects, and prepares individuals to support other professionals working on projects seeking LEED certification. Topics covered include: Basic Green Building Principles; About USGBC and GBCI; Accreditation Overview; Sustainable Design & Integrated Project Delivery (IPD); Core Concepts of the Leadership in Energy & Environmental Design Rating Systems; Green Building Strategies & Concepts; and Technical Analysis of Project Credits and Strategies. Developed and backed by the U.S. Green Building Council, the LEED Green Associate and credential has gained national and global notoriety. The Leadership in Energy and Environmental Design (LEED) rating system is one of the most widely used standards for green building and design. This course will also prepare you for the LEED Green Associate Credential from USGBC (US Green Building Council). This is an internationally recognized certification that designates expertise in green building and design principles. The exam fee is included with the course. This program is entirely online and is completed at your own pace. When you register, you receive three (3) months to complete this program. This program can be taken from either a Mac or a PC. It is compatible with the Windows XP and later operating systems, Firefox, Chrome (preferred), or IE 7 and later browsers. There are no specific computer requirements other than an Internet connection, e-mail account. Jean Cipriano, LEED AP - Jean Cipriano has a Bachelor's degree in Interior Architecture. She is a member of ASID, and is a LEED AP. Jean has been the principal of her own firm for over 25 years and has consulted on projects for major corporations and universities. She always infuses her work with awareness and regard for the environment, and applies this philosophy toward the inhabitants of the buildings and spaces she designs. Even before becoming a LEED AP, these were her priorities in planning. Jean has instructed adults in all aspects of Interior Architecture, seeking to initiate, create and advance the philosophy of sustainability. Her intent is to bring awareness to the subject of sustainability and to integrate it into all of her opportunities as an instructor. All of our programs are self-paced and open enrollment, so you can start them when you want and finish them at your own pace. When you register, you’ll receive three (3) months to complete the program. Support will be available (via e-mail) to answer any questions you may have. Yes, LEED Green Associate Credential from USGBC (US Green Building Council). This is an internationally recognized certification that designates expertise in green building and design principles. To earn the certification students must pass a 100 question proctored exam following the course. The exam fee is included with the program.